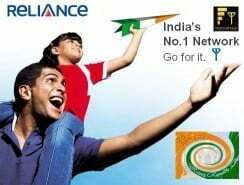 In its endeavor to make calling a delightful experience with no limitations and restrictions on usage, Reliance Communications, (Rcom) is back again with its unique cheaper on-net calling tariff with more benefits. Reliance Mobile launches new Special Tariff Voucher of Rs.195 and Rs.295 for the prepaid customers of Mumbai, Delhi Kolkata & West Bengal circle respectively which is going to provide the optimum tariff facility like local Reliance to Reliance Unlimited Free calling and some free minutes on off network calls. The STV of Rs.195 which is available for Reliance GSM Subscribers in Mumbai, Delhi and some other Rcom circles also provides Free 195 minutes Local off-net calling for 30 days.While STV-295 which is available for Kolkata, West Bengal and Some other RTL circles provides Free 295 minutes Local off-net calling other than Unlimited Free R2R Calls applicable for 30 days. Apart from STV 295, RGSM also have two other STVs for Kolkata and West Bengal circles, Priced at Rs.49 and Rs.199 which provide Local R2R for 7 days & 30 days respectively. *Post Usage tariff will be as per base rate. The above mentioned STVs are available only with eRecharge. For more details call *333 from your Reliance mobile.